There will be a €94 billion Brexit-related hole in the EU budget for 2021-27 if business continues as before and the United Kingdom does not contribute. The authors show that freezing agriculture and cohesion spending in real terms would fill the hole, but new priorities would then need to be funded by an increase in the percent of GNI contribution. 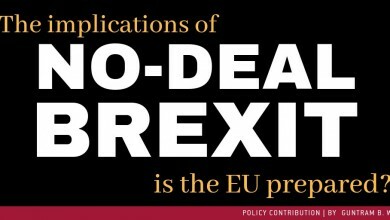 The policy brief is here. The European Union’s budget is fundamentally different from the budgets of federal countries and amounts to only about one percent of the EU’s gross national income. The literature shows that the Common Agricultural Policy (CAP), which takes 38 percent of EU spending, provides good income support, especially for richer farmers, but is less effective for greening and biodiversity and is unevenly distributed. 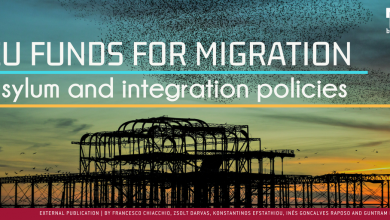 Cohesion policy, 34 percent of EU spending, contributes to convergence but it is unclear how strong and long-lasting the effects are. Spending on new priorities such as border control could require additional funds of at least €100 billion for the 2021-27 period. In addition, EU budgeting is based on a complex and outdated methodology. There will be a €94 billion Brexit-related hole in the EU budget for 2021-27 if business continues as before and the United Kingdom does not contribute. EU countries might be reluctant to increase contributions to fill this hole while also covering spending on new priorities. We show that freezing agriculture and cohesion spending in real terms would fill the Brexit-related hole, but new priorities would then need to be funded by an increase in the percent of GNI contribution. Freezing in nominal terms – thus cutting in real terms – would generate enough to cover most of the new priorities. This would be topped-up by a UK contribution if a EU – UK deal is reached. A fundamental overhaul of the EU budget, including its methodology, is crucial.